Train is a popular mode of transport in Croatia, although the train network isn’t that extensive – trains in Croatia generally feature most within the country’s interior, and far less so along the coast. Zagreb is, of course, the central hub of the train network, and within Croatia there’s a high frequency of routes to and from the capital. 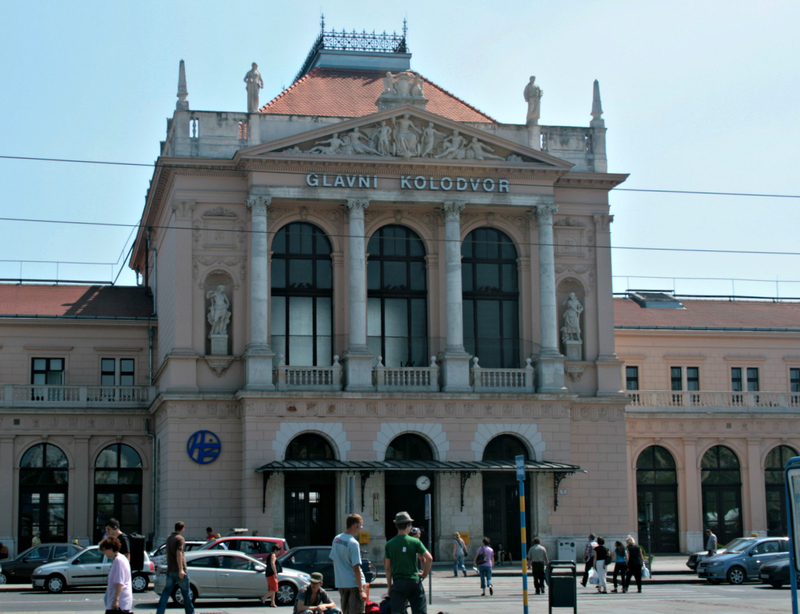 The two most useful coastal destinations connected to Zagreb by train are Rijeka and Split. In comparison with Western Europe, tickets are inexpensive. There have also been upgrades of some of the track in recent years to improve journey times; for example, on the Zagreb to Split route and in areas just outside Zagreb as well. Funnily enough, the upgrade of Croatia’s road system and the construction of motorways has seen some train services reduced in frequency, as journey times by road have also been reduced! For example, the Zagreb – Rijeka train route, previously one of the busiest, has suffered in popularity as the relatively new motorway has reduced bus journey times to only 2 and 1/2 hours – the train takes 4 hours. Overall, you will probably have more more options in Croatia if travelling by bus as the bus network is far more extensive. This is certainly the case if you are intending to travel along the coastline for there are hardly any routes along it – alternatively, for a much more leisurely option in this case, take a ferry. Prices vary depending on the type of train you take – inter-city (ICN in Croatian), fast (brzi) or passenger (putnicki) train. Some train tickets have an additional supplement that needs to be paid (6 or 16 Kunas, again dependent on the type of train) although these have been included in the prices listed above. ICN trains are the fastest and therefore the most expensive, but not all train types operate on all routes. Some discounts are also available, such as 25% off prices for those with ISIC or Euro 26 cards. Always ask if you can receive a discount (provided you have one of these cards!) when buying your tickets. Route, timetable and price details can be found at the following websites. Alternatively, you shouldn’t have any problems simply turning up on the day of travel and purchasing your ticket beforehand. You can also do this a few days in advance of your journey if you want to be on the safe side and guarantee a seat on a particular train.